PAX-RN stands for Pre-Admission Examination – Registered Nursing. Nursing schools use the exam to determine if an applicant has the skills and aptitudes necessary to do well in a program of nursing education. 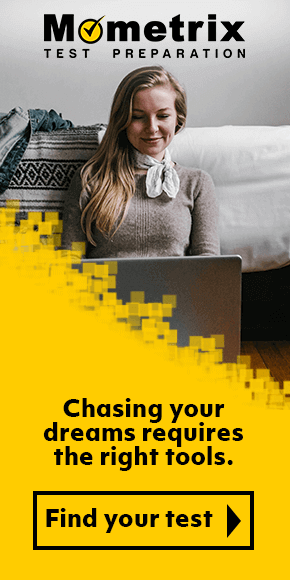 While a high score isn’t enough by itself to guarantee admission, a low score can ruin a person’s chances of being admitted, no matter how qualified they are in other ways. The PAX-RN test is a timed, standardized test consisting of multiple choice questions in three areas – verbal ability, math, and science. The National League for Nursing, which administers the NLN PAX test, doesn’t give out much information about the NLN testing process, but on a recent exam version there were 54 math questions, while the verbal ability and science sections each contained 80 questions. 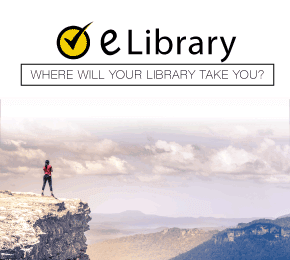 NLN exam questions are wide-ranging, covering such topics as reading comprehension, vocabulary, biology, basic math, algebra, chemistry, physics, geometry, and earth sciences. There are no passing or failing scores; each nursing program has its own standard for acceptable scores. It’s critical to do as well as you can on the exam, because a person who performs poorly may only retake the test two times. 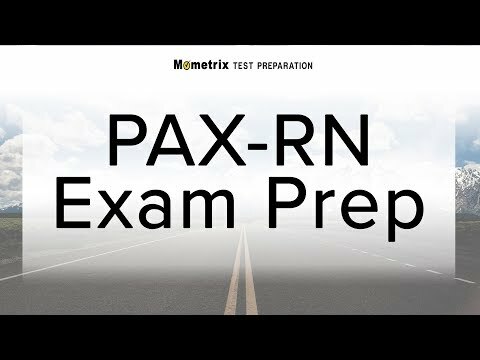 Here at Mometrix Academy you’ll find a large number of free PAX-RN test prep videos that can help you do your very best on the exam. Use the free PAX-RN practice test questions below to get a better understanding of the PAX-RN exam. Take advantage of this valuable resource to pinpoint your strengths and weaknesses. Mometrix Academy is a completely free NLN PAX review provided by Mometrix Test Preparation. If you find benefit from our efforts here, check out our premium quality PAX-RN study guide to take your studying to the next level. Just click the PAX-RN study guide link below. Your purchase also helps us make even more great, free content for test-takers. Our customers love the tutorial videos from Mometrix Academy that we have incorporated into our PAX-RN study guide. The PAX-RN study guide reviews below are examples of customer experiences. So far I have been extremely happy with the reading and study material with this book. It is enough but not too much information on the topics needed to know about the exam to come. I appreciated the encouraging information and methods necessary to succeed on the entrance exam. Short and to the point paragraphs of important information needed to know for each section. material is organized and is in order which makes studying less complex. I love that I actually know what vocabulary to study so I have an idea of what to study.It is an easy read and very detailed on how to break apart words and also allow me to have better test taking skills and allows me to eliminate the wrong choice easier. The book is awesome at giving detail shortcuts and advice on passing the test. It was an easy read. I was extremely impressed by this study guide. I have purchased test preparation books in the past and never found them to be helpful. It seemed like I was always asking myself why I got one of the practice questions wrong. However, Mometrix did a very good job explaining the reasoning behind the correct answer. I had no idea I could learn so much from a 150 page test prep book. I will definitely be going back to them in the future. Your materials are great! They are clear and to the point which someone like me looks for I struggle with test and I have ADHD. I think the book is laid out nicely. The sections have just enough info to help grasp the concept. Test taking tips are also great. And the practice test is a bonus. This was very helpful so far. It has allowed me to feel more comfortable in my progress preparing for the exam. It has been a great tool in my advancement in the nursing program. It seems to have a lot of good study information. Very informative. I am so impressed. This study guide breaks the information down to the minimum without including nonsense. I rate this product a solid 5. 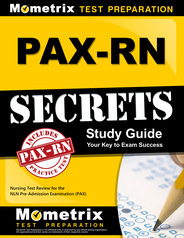 Learn more about the Mometrix PAX-RN Secrets Study Guide. 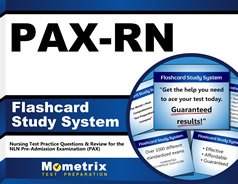 Learn more about the Mometrix PAX-RN Flashcards.